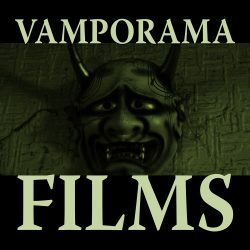 Vamporama Films offers a variety of services to get your own project off the ground, or help you take it forward to the next stage. If you have any inquiries or projects to discuss, please e-mail us at roseofeibon@gmail.com. The screenplay is the cornerstone of your project, both the cheapest and the most crucial stage of the film-making process. We can work alongside you to bring your vision to the screen by providing an outside perspective on the plot and narrative arc, helping fine-tune characterisation and dialogue, honing the script to a sharp edge. Whether it’s a short film or a full-length feature, cinema is teamwork—and our team is here for you. Cast and crew can benefit from seeing your vision brought to life on paper before it’s brought to life on film. We can provide storyboards for key scenes, visual effects or complicated edits, all hand-drawn to your requirements. Fixing down the look for your characters in the early stages can be helpful in terms of visualising the projects and may even be useful when casting various roles. Just as films can lose their way at the screenplay stage, it is crucial to pull all the elements together in your final edit. This can be the most difficult, the most painful stage in the film-making progress, as individual parts of the movie mosaic—perhaps your favourite scene, or the one which took the most effort to shoot—face re-assessment as constituent parts of a larger whole. We can work alongside you to produce the best edit possible. Even the finest films need careful promotion. We can create exciting trailers, even producing market-specific edits for niche targeting.